Jim Salestrom is an Emmy Award winning songwriter, a gifted guitarist, and a seasoned performer who has been writing and recording music since he was 13. He has performed for four U.S. presidents, at the White House, at The Vietnam Veterans Memorial, and at the Supreme Court for his friend Justice Sandra Day O’Connor. He has appeared on the Tonight Show with Johnny Carson three times and the Academy Awards show, as well as two HBO specials. Jim has also appeared on the Ellen, Merv Griffin, Mike Douglas and Jay Leno shows. His music crosses generational boundaries and is enjoyed by fans of all ages. Jim likes traveling and meeting new folks and sharing his songs and stories that have taken him around the world. While doing sound for John Denver at John’s first appearance at the Red Rocks Amphitheater in 1972, he was one of the first to hear “Rocky Mountain High” at the sound check. Jim recorded vocals and banjo on John Denver’s “Different Directions” and sang with John in concert. He sang “Rocky Mountain High” at the Colorado State Capital when the song became the co-official state song of Colorado in 2007. Jim has created a multimedia tribute to Buffalo Bill that played in May and June of 2017 in various venues in Colorado and he is now performing around the country. Jim also co-produces the Shetland Reel Music Festival each August in the Shetland Islands of northern Scotland. 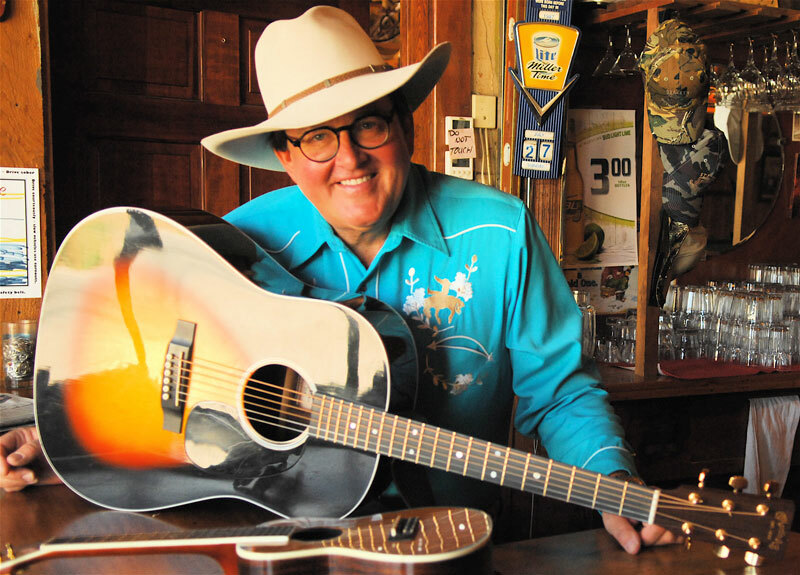 Jim performs regularly at the Yellowstone Club and the Stock Farm Club in Montana, as well as at The Broadmoor. Recent trips to perform include Utah, Wyoming, California, British Columbia, West Virginia, Nebraska, Alaska, and Italy. In 2016, Jim recorded “Crossroads” in Nashville at the Sound Emporium Studios. He later added a 46-piece orchestra from Macedonia. Jim's most recent Nashville project, called “Shady Pine,” was recorded in 2017. Produced with longtime friend and John Denver's keyboardist Chris Nole, it features Sam Bush on several songs. Instead of our usual two opening acts, we’ll have a special presentation by Jim Salestrom.